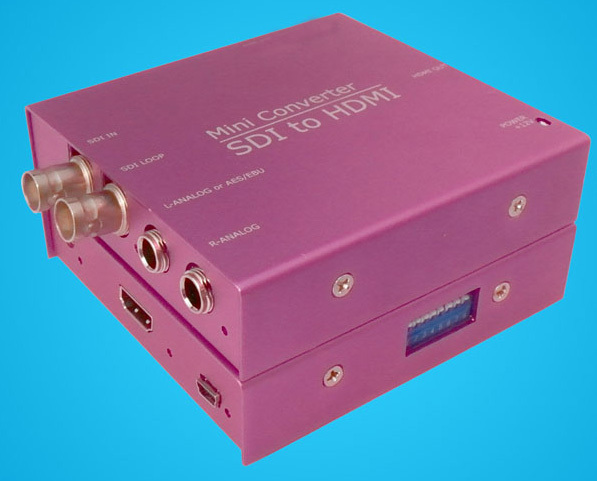 SDI input to HDMI output. The LED indicator beside HDMI interface long lights when output HDMI signal and blinks when output DVI signal When input analog audio signal, the LED indicators beside L-ANALOG and R-ANALOG light. When input digital AES/EBU signal, the LED indicator beside L-ANALOG or AES/EBU lights.